United States District Judge Reggie Walton declared a mistrial in the Roger Clemens case today after federal prosecutors made a colossal mistake. Judge Walton clearly blamed the government for the mistrial. Assistant United States Attorneys Steven Durham and Daniel Butler likely suffered one of the most humiliating days of their careers as Judge Walton chastised them for making a mistake that even a first-year law student would have known to avoid. Judge Walton reminded the prosecutors how much taxpayer payer money was spent on the Roger Clemens investigation and prosecution. He was troubled at the inexcusable and careless attempts by the federal prosecutors to break the rules set by the court thereby forcing a mistrial. Walton tells jury: "The government did not take the effort that it should have taken" to alter evidence to comply with rulings. Walton tells jury "we've expended a lot of your taxpayers money to reach this point." The fatal mistake made by prosecutors was to directly violate Judge Reginald Walton’s ruling on the inadmissibility of evidence featuring statements by Andy Pettite’s wife. The government showed the jury a video in which Congressman Elijah Cummings read the affidavit of Pettite’s wife in which she stated that her husband told her that Clemens admitted using steroids. The judge ruled the testimony as inadmissible due to multiple layers of hearsay. “I think that a first-year law student would know that you can’t bolster the credibility of one witness with clearly inadmissible evidence,” Walton said. Judge Reggie Walton said it was impossible for Roger Clemens to receive a fair trial after the government blatantly broke the rules set by the court. “There are rules that we play by and those rules are designed to make sure both sides receive a fair trial,” Walton told the jury, saying such ground rules are critically important when a person’s liberty is at stake. “If this man got convicted, he would go to jail,” Walton said. Craig Calcaterra of NBC Sports called the mistake “inexcusable” stating that it could have only been caused by “extreme incompetence” or “contempt for the judge’s order”. That was a serious transgression. Inexcusable, really, and could have been caused by only (a) extreme incompetence; or (b) contempt for the judges’ order. Baseball analyst Peter Gammons said the government did a “terrible job” in a performance that would have been laughable if it did not involve wasting taxpayer dollars. Lester Munson of ESPN wrote that Roger Clemens could go free because he thinks the government deliberately and intentionally violated Judge Walton’s order regarding the inadmissibility of evidence. A mistrial like this is a rare event in federal courts. Deliberate defiance of a judge’s order by federal prosecutors is even rarer. But this combination of rare events could allow Clemens to walk away from a massive investigation and prosecution that seemed likely to send him to prison. However, AJ Perez of FOX Sports interviewed Former Assistant United States Attorney Marc Mukasey. In the legal opinion of Mukasey, the government, at worst, was guilty of “carelessness”. 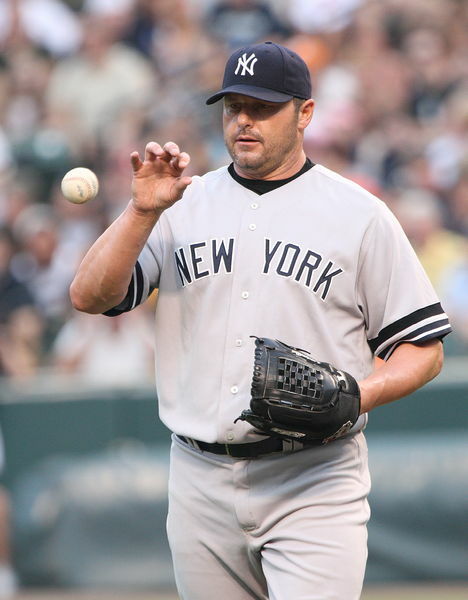 Double jeopardy would not apply thereby allowing for the retrial of Roger Clemens. Former Assistant U.S. Atty Marc Mukasey tells FOXSports.com that prosecutors guilty of "carelessness" in Clemens case. Former Assistant U.S. Atty Marc Mukasey also says double jeopardy likely won't apply and prosecutors should be free to retry Clemens. Judge Walton will determine on September 2, 2011 whether Roger Clemens will go free or whether the government will have another chance to prosecute him in a new trial.